There are many reasons why Asheville, North Carolina is one of the most beautiful places in the country to live. However, the conditions that contribute to the region’s natural splendor come with a price. This is especially true when considering the various foundation problems a mountain home may encounter. The steep hills, unique ground conditions and excessive moisture all add up to the distinct experience of living in the Southeast. Yet these elements also create some challenges for builders and homeowners. Here are common foundation issues in places such as Asheville and effective methods for solving them. Slope erosion: As rain falls downhill, it might start to carry soil with it. If the ground is saturated beyond a certain point, excessive rainwater flow may cause a layer of topsoil to slide down the slope. This can leave the foundation exposed and without support in some cases. In other instances, it results in too much pressure being applied as dirt piles up around the foundation. This unexpected shifting can cause the concrete to crack and become uneven. Fragile rock slopes: Mountainous areas often feature terrain that includes a lot of rock. Although in most instances this rock is solid, sometimes it can be more delicate than it appears. Expansive soils: Much of the area is characterized by ground that expands or contracts quite a bit, depending on its water content. When ground swells in wet weather, it can cause a lot of pressure on your property. The extra mass that topsoil can take on as a result of heavy rain also has the potential to lead to landslides. Hillside homes: If your house is on a hill, foundation problems may be caused by improper drainage. If water cannot drain from the site, there could be serious instability. Slope stabilization: Through a combination of piles, walls and stabilizing materials, crews can provide additional stability for sloping hills. Retaining walls: The installation of retaining walls helps hold soil in place and prevents it from shifting too much. Piles and anchors: Adding these can help stabilize the ground and hold foundations in place. If you live in the Asheville area and have a house on a steep hill, foundation problems may be in your future if they aren’t here already. 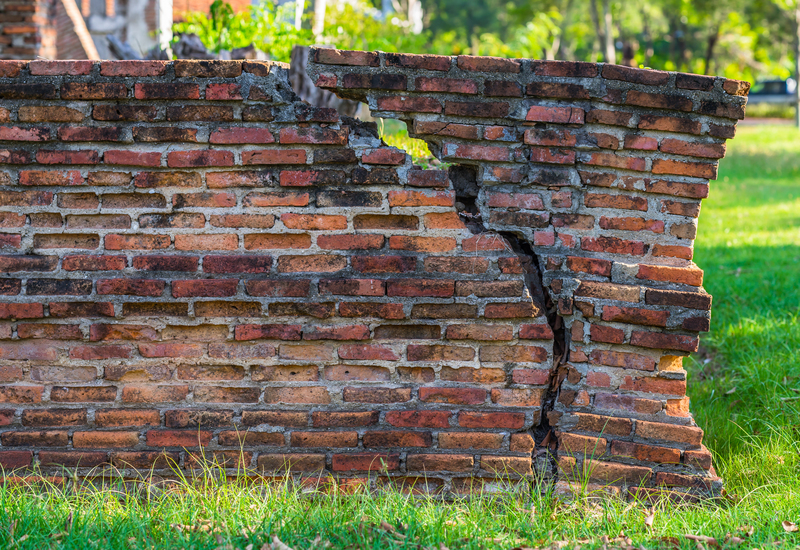 At Foundation Repair Services, we have more experience than anyone else in the region when it comes to assessing and mitigating these issues. For further information about how we can help, call (704) 545-0206 today.